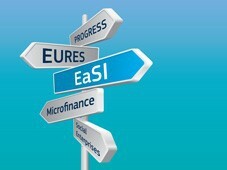 A call for proposals under the Programme EaSI has been published by the European Commission. The specific objective of this call is to support the deployment of a tailored, flexible and quality learning offer for low-skilled / low-qualified adults in participating countries. The total budget of this call is 4 000 000 EUR and EU grant requested should indicatively be between 200 000 EUR and 1 000 000 EUR. Deadline for submitting proposals is 08/07/2019.